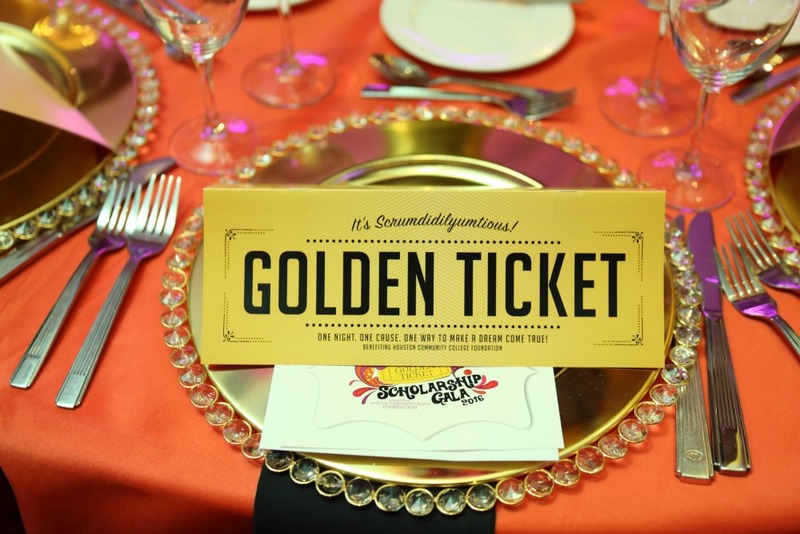 The Right Theme Can Be the Golden Ticket to a Successful Event. A relevant theme can have many functions throughout an event and be incorporated into multiple elements from graphics, color scheme, decor and lighting, just to name a few. eEvents Group had the opportunity to work with HCC Foundation on their biennial Scholarship Gala. We feel very fortunate to be part of their mission to raise funds for local students seeking to achieve a higher education at Houston Community College. Like every great story, a theme is what carries an event to fruition. So how does it all transpire? We started with the concept of a Willy Wonka inspired event with an emphasis on the Golden Ticket. The idea was to not convey a child like representation but rather a elegantly inspired whimsical depiction. We collaborated with our design team to come up with a color scheme and create graphics that would brand the event and build synergy. The design elements inspired initially by the logo transpired throughout the entire event; starting from the save the date, invitation, program, auction booklet and correspondence. Next, we let the decorations do the talking. 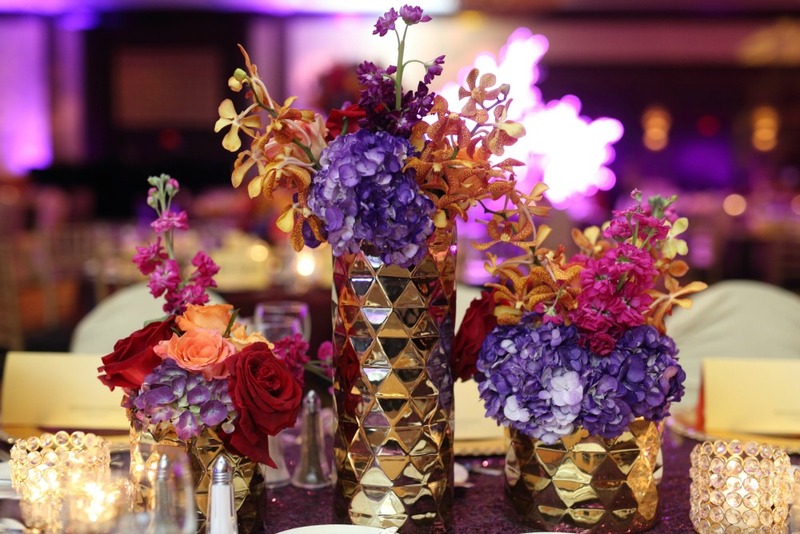 Hues of fuchsia, purple, gold and orange linen draped tables filling the grand ballroom. Show-stopping LED trees illuminated guests as they entered the room and took their seats to enjoy the program. 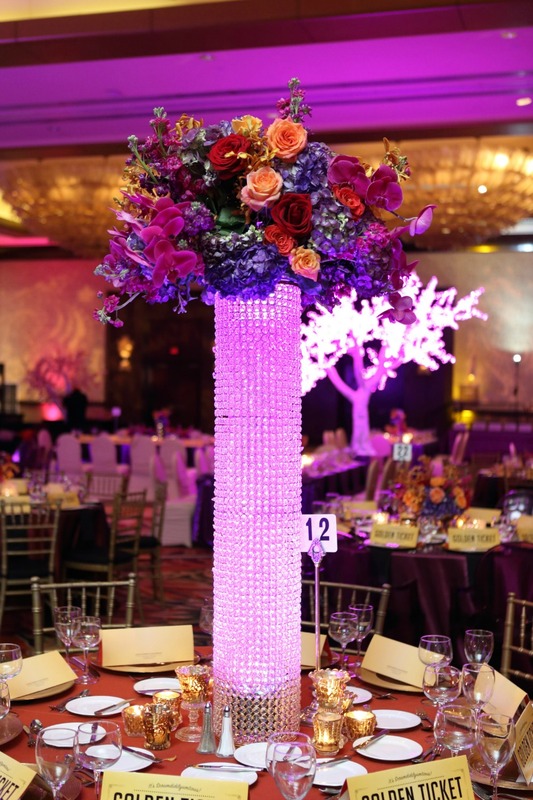 Towering, shimmering centerpieces decorated tables while carefully crafted floral arrangements added an elegant flare. 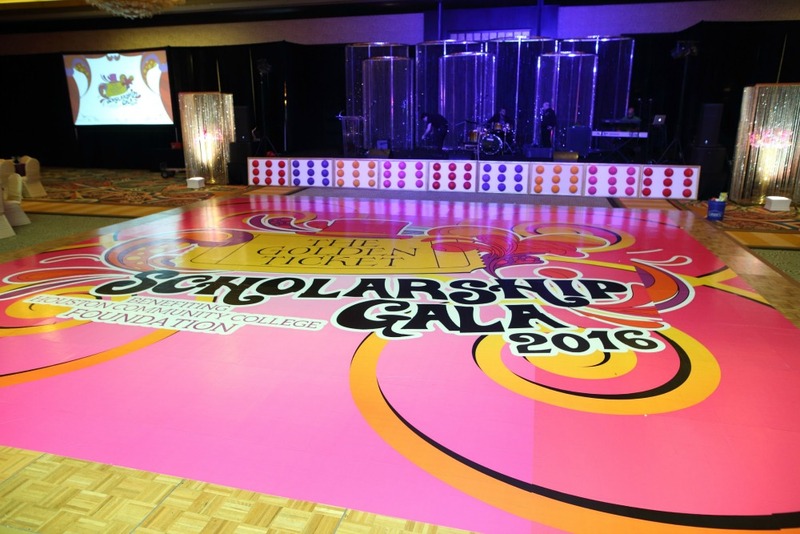 We added a whimsical touch to the dance floor by placing a huge decal of the gala’s logo. Candy colored crystals adorned everything from the table chargers, candle holders and stage backdrop adding depth and dimension to the room. This Willy Wonka inspired theme was a sensational hit with our client and their guests. Let eEvents Group assist you in finding the right theme and creating an unforgettable experience for your next event.